As fall approaches it’s time to start thinking about the condition of your furnace. It’s important to take the necessary steps to prepare your furnace for cold weather before the first chilly night. Don’t wait until it gets cold to change your thermostat to heat just to find out that it won’t come on or isn’t working properly. There are specific steps you can take on your own to prepare, as well as scheduling furnace maintenance in Eden, NC. Change filters. If you typically change your filters every 1-2 months, you’re already doing what experts recommend to keep dirt and dust out of your system and improve airflow. If not, now is a great time to do that. Dirty, clogged filters allow dirt and dust to get through but not the air that should be able to get through. Low air flow and a dirty furnace can cause problems with your system from decreased efficiency to furnace failure. Check carbon monoxide detectors. Make sure your carbon monoxide detectors are working properly. Change the batteries. Most detectors have a test/reset button. Push this button and hold it down until you hear 2 beeps. If your carbon monoxide detector is monitored by your security system, contact your security monitoring center for testing. Why is this important? Because furnaces produce carbon monoxide that should be minimal and vented outside of your home. Your CO monitor will sound if your furnace produces more than it should or isn’t venting properly. Clean vents. Dust tends to collect around your vents, especially the intake vents. Use a simple duster to remove dust and debris from your vents before switching your furnace on for the first time this season. Clean around your furnace. With experience, you may be able to clean the inside of your furnace, but it is safer to leave that up to the professionals. You can simply remove dust and debris from the outside of your furnace to prevent it from getting inside when your HVAC company comes to perform maintenance. Schedule a furnace tune up with your HVAC company. 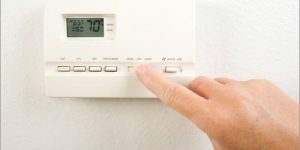 The most important thing to do before turning on your furnace each season is to have your heating and cooling service come out to perform a tune-up. Furnace maintenance in Eden, NC, will help your furnace run more efficiently and prevent problems that could occur in the future. If you’re wondering if a furnace tune-up is worth the money, the answer from homeowners and HVAC experts alike is a resounding “Yes.” Just like your car or any other working machine, regular maintenance is necessary to keep it running properly. Your furnace needs to be cleaned, inspected, and sometimes repaired to keep it from breaking down. Furnace maintenance in Eden, NC, includes all of that and more. A well-tuned furnace uses less energy, saving you money on gas, electricity, propane, or oil. And you can avoid emergency and after-hours fees for unexpected breakdowns. Sign up for a Comfort and Protection Service Agreement and emergency fees are waived. You’ll also get a discount on propane or heating oil deliveries. Call Carolina Fuels and make sure your furnace is prepared well in advance for cold weather: (336) 623-9741. Best Ways to Prepare for a Warm Fall—it’s Coming Why Does My Furnace Run Constantly?